[Fig. 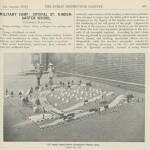 3] Crystal St Kindergarten creates a military camp. From AK698, Vol. IX No. 8 August 1915, p.209. [Fig. 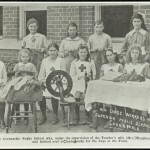 8] Red Cross workers at Coonamble Public School knitting and spinning, 1918. From NRS 15051. [Fig. 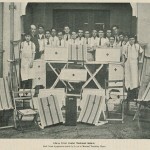 16] Albion Street Junior Technical School pupils with Red Cross apparatus they have made. From AK698 Vol. XI No. 4 April 1917, p.88. [Fig. 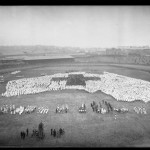 27] School children display of Australia with Red Cross in centre, July 1915. From NRS 4481 ST5705P. [Fig. 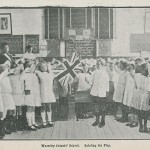 28] Children’s patriotic display, England, October 1914. From NRS 4481 ST5600P. [Fig. 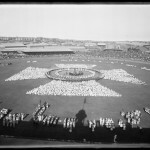 29] Children’s display of Victoria Cross, September 1916. From NRS 4481 ST5892P. (1) McKernan, Michael, The Australian People and the Great War, Sydney, Collins, 1984, pp.43-63. 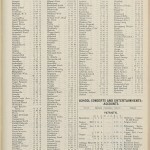 (2) New South Wales State Archives: Department of Education; AK698 The Education Gazette, Vol. IX, No. 12, December 1915, p.353. (3) AK698 The Education Gazette, Vol. 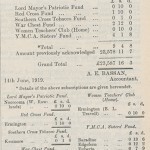 XII, No.4, April 1918, p.76. (4) AK698 The Education Gazette, Vol XI, No. 4, April 1917, p.91. 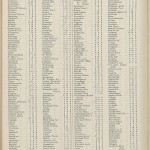 (5) AK698 The Education Gazette, Vol.XII, No.11, November, p.282. (6) NSWSA: Department of Education; NRS 3859 Copies of letters sent concerning staff and general matters, [1/2102] letter 1915/100901. (7) Ibid., 1/2102, 18 November 1915, p.26. 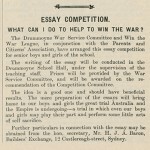 (8) Department of Veteran Affairs, “Schooling Service and the Great War – How did the Great War affect daily life in schools?” leaflet, http://www.anzacportal.dva.gov.au/sites/default/files/publication-attachments/SSGW_Primary_Part1_0.pdf, accessed 3 May 2015. (9) Oppenheimer, Melania, Australian Women and War, Canberra, Department of Veteran Affairs, 2008, p.42. (10) AK698 The Education Gazette, Vol. XI, No. 9, September 1917, p.222. 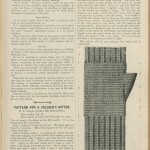 (11) AK698 The Education Gazette, Vol. XI No. 8, August 1917, p.200. 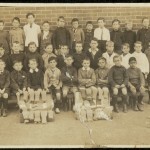 (12) NSWSA: Department of Education; NRS 3829 School files, Blackfriars [5/14948B] 22 October 1918. 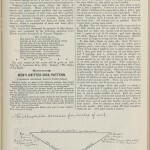 (13) AK698 The Education Gazette, Vol.X, No.3, March 1916, p.84. 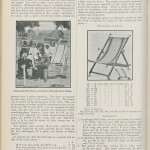 (14) AK698 The Education Gazette, Vol.XIII, No.1, January 1919, pp.35-36. 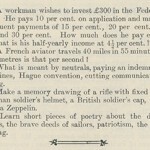 (15) AK698 The Education Gazette, Vol.IX, No.2, February 1915, p.31. 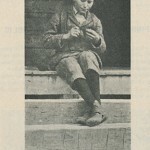 (17) AK698 The Education Gazette, Vol.XIII, No.7, July 1919, p.163. 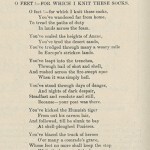 (18) AK698 The Education Gazette, Vol.IX, No.2, February 1915, pp.32-33. 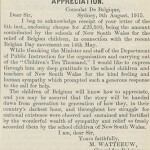 (20) NSWSA: Colonial Secretary; Main series of letters received [5/7540] 17/55762. 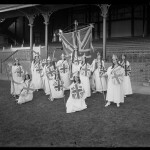 (21) “Empire Day Celebrations The Children’s Ten Thousand”, Nepean Times, 22 May 1915, http://trove.nla.gov.au/ndp/del/article/86172236. 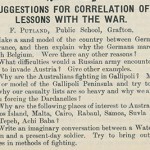 (22) AK698 The Education Gazette, Vol.IX, No.9, September 1915, p.251. (23) AK698 The Education Gazette, Vol.X, No.6, June 1916, p.153 & Vol.X, No.10, October 1916, p.57. (24) AK698 The Education Gazette, Vol. 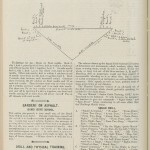 IX, No.8, August 1915, p.210. (25) NRS 3829 Sydney Girls High [5/17745.1, 5/17746.1]. 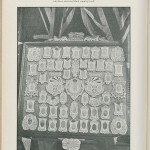 (26) Guide to the Cadets Souvenir Collection, Australian War Memorial, https://www.awm.gov.au/findingaids/special/Souvenirs/cadets.xml, access on 3 May 2015. 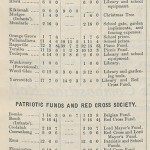 (27) “The Grand Union”, Sydney Morning Herald, 15 Oct 1914, p.5, http://trove.nla.gov.au/ndp/del/article/15547225. (28) “Children’s Day”, Sydney Morning Herald, 11 Sept 1916, p.6, http://trove.nla.gov.au/ndp/del/page/1268714.